Who is the Environment Character of the year 2011? The Roman born award on the web is back for the third year: it assigns to Italian citizens the task to reward those people or organizations who supported - with commitment and professionalism - the cause of green economy and environmental sustainability in Italy and in the rest of the world. The idea, the project, or just the information or the political initiative which during the year left a mark in favor of the environment will be awarded. Compared to last year there is something different in the composition of the list of candidates: there is a higher number of collective subjects such as committees and forums, and a reduced number of representatives of “traditional” associations. The presence of local administrators, that last year got themselves talked about because of undertaken local initiatives, remains dominant. Entrepreneurs are less present and there is virtually no representation of characters of the entertainment and journalism that last year dominated the rankings. The twenty-one candidates for the 2011 Award have been selected by a Technical Committee composed of directors of environmental newspapers, environmental journalists, responsible for Italian theme sites and bloggers. To name someone among the candidates there are "The Angels of the Mud" from Genoa, the new environment minister Corrado Clini, the "Italian movement for water Forum", the mayor of Cassinetta di Lugagnano Domenico Finiguerra, Giuseppe Onufrio, Executive Director of Greenpeace Italy, Nichi Vendola, national President of Sel, "Fukushima 50 - Nobukatsu Osumi" (workers of the Fukushima nuclear Power Plant), the fishermen of Torre Guaceto reserve (promoters and active part of a project of sustainable fisheries). 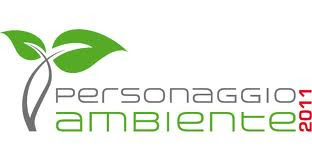 The complete list is available on the award website: www.personaggioambiente.it. To vote you have to register on the website. You can express your preference only once and within December 31, 2011. The pattern of voting is updated in real time and the winner will be awarded during a ceremony to be held in Rome in late January 2012. «The award - declared Mario Notaro, Secretary of the Technical Committee - aims to give voice to those millions people who care about the environment and want to convey, with their vote, a sign of recognition for those men and women who spent themselves in battles and initiatives related to sustainability. We hope this third edition records the excellent results in terms of votes achieved in the previous one and that, year after year, the award becomes an event that, in addition to declaring the mostly distinguished character of the year, could be an opportunity for dialogue and national debate on the nature of environmental problems of our country».